RANDOLPH — Chandler Center for the Arts announces their Annual Artisans Holiday Market, open now and running through Dec. 23. 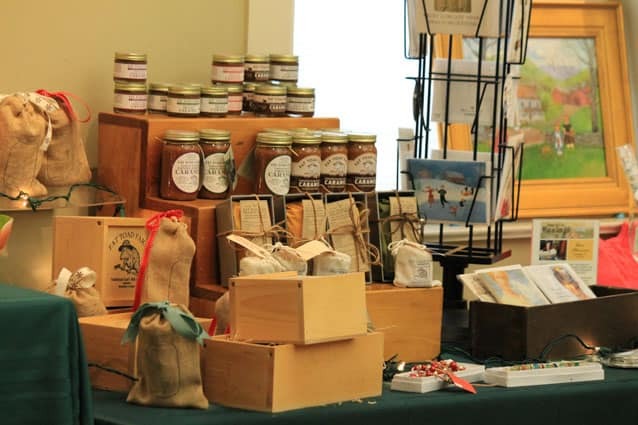 Shop for special and unique holiday gifts from juried Vermont and New Hampshire artists, craftspeople, and specialty food producers. The works of more than 40 artisans and food producers represent the broad range of talent in the region. The wide array of products includes pottery, blown glass, jewelry, natural soaps and body care products, knitted goods and accessories. Area food producers will offer items including infused syrups, chocolates, spreads, and baking mixes. Also back this year is the new “gift-sized art” selection in our Downstairs Gallery. Prices range from $5 or less to “wish list” items. Purchases benefit local artisans and support ongoing programs and exhibits at Chandler. The market will be open Wednesdays 6-8 p.m., Thursdays through Saturdays 10 a.m.-4 p.m., and Sundays 11 a.m. to 3 p.m. Last-minute shopping hours will be available Monday and Tuesday Dec. 22 and 23, 10 a.m.-4 p.m.
For more info, call 802-431-0204. Food make a great holiday gift — especially locally made and prepared ones.